While many of us will likely cast our ballots without issue on Nov. 8, there's been some talk this election that could result in an uptick in problems and disruptions at the polls. For weeks Republican nominee Donald Trump has encouraged his supporters to act as poll watchers on Election Day, scouting for evidence of a "rigged" election and voter fraud. Yet Trump's call for poll watching "in certain areas" has led to concerns some voters may face a variety of challenges at the polls, including intimidation, discrimination, and challenges to their voting eligibility. Just as important as knowing where the candidate you're casting your ballot for stands on issues that matter to you, is knowing what to do if you have problems at the polls. A little research before you head off to vote could save you a lot of headache at the polls. First, it's important to note that you must vote at your assigned polling place. Polling places change. Check your polling place for this election by contacting your local election office or using an online resource like Get To The Polls or Can I Vote. You will be asked to cast a provisional ballot if you attempt to vote at the wrong location. Second, first-time voters who did not register to vote in person are required by federal law to show photo ID at the polls when casting their ballot. Before heading to the polls, it would also be beneficial to look into your state's voter laws. Does your state require voters present photo identification before voting? If so, what constitutes an acceptable form of identification? Check with your state election board or Vote411 for clarification on what you'll need to vote in your area. While everyone hopes Election Day goes off without a hitch, there are a variety of different problems that could come up. Immediately alert poll workers and election officials if you experience a problem with voting machines. County clerks and state election officials should be notified if a polling place opens late or closes early, claims to have "run out of ballots," or has not provided adequate assistance to disabled voters, such as handicapped accessible polls. Potential violations of federal voting rights laws can also be filed online using the Justice Department's e-form for election-related complaints. Recently, there's been a lot of talk about poll watching. Although rules for poll watching vary by state, most states do not allow individuals to simply show up to monitor voting inside polling locations on Election Day. Poll watchers are generally required to apply for the position prior to Election Day and are often limited in number. They are not allowed to campaign for their candidate, follow a voter into a voting booth, or confront and intimidate voters directly. Voters should alert a poll worker or the precinct supervisor if a poll watcher attempts any of these things. You are under no legal obligation to tell anyone how you voted. What If Someone Challenges Your Eligibility? While voters have the right to vote independently and privately, a poll watcher can — depending on where you live — challenge your eligibility to vote. As frustrating as it may be to have your eligibility challenged, try to remain calm and don't be afraid to assert your right to vote. There are a few different ways to prove your voter eligibility, and your county clerk's office should be able to confirm exactly what you'd need to provide if asked to provide proof of registration. According to the ACLU, many states allow challenged voters to cast regular ballots after providing a sworn statement of their eligibility. 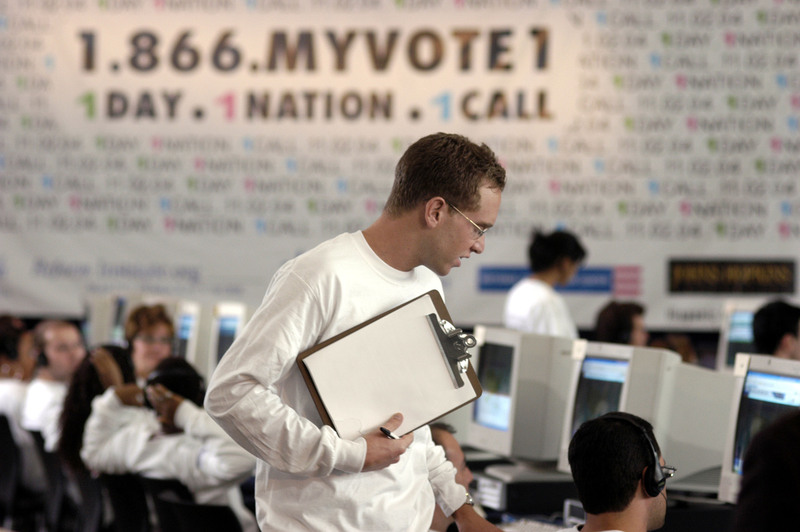 The Election Protection Hotline at 866-OUR-VOTE or 888-VE-Y-VOTA for Spanish-speakers can walk you through the process. If you are a legally registered voter, you have the right to cast a regular ballot, rather than a provisional one. This can be a more ambiguous question as voter intimidation can take many forms. However, generally speaking, any attempt to intimidate or hinder an individual from voting by interrogating, challenging, photographing, or filming (often done under the guise of attempting to uncover voter fraud) may be a violation of federal voting rights law. If you have questions about your rights or wish to report concerning incidents call the Election Protection Hotline, which is run by the Lawyers Committee for Civil Rights at 866-OUR-VOTE or 888-VE-Y-VOTA for Spanish-speakers. Issues of intimidation can also be reported to the Department of Justice Voting Rights Hotline at (800) 253-3931 and the ACLU's National Voting Rights Project at (877) 523-2792. While one always hopes voting will be quick and easy, there are a variety of problems that could occur at the polls and it's important to know how to report them in order to protect your right to vote.